I love dinners with friends, for no reason other than the hangout and eat delicious food...especially when this involves a porch. Bianca made us this delicious dinner...where we proceeded to stuff our faces and then move on to dessert. Okay so lets talk about the picture up top there...that was dessert. It was my hello there summer, I think we need to celebrate you with chocolate-chocolate chip waffle ice cream sandwiches. I am so for serious here, that even though these take some time to make, they are totally worth it. The waffle is chocolaty and rich, and the vanilla ice cream lightens everything up. The waffle stays a bit soft, but has the crunch from the chocolate chips, so you aren't biting into a rock solid waffle and basically yeah...they are delicious. So say hello to summer and give these a try. Enjoy! This is a simple one...lets just mix everything together. 1. Preheat waffle iron according to manufacturer's directions. 2. 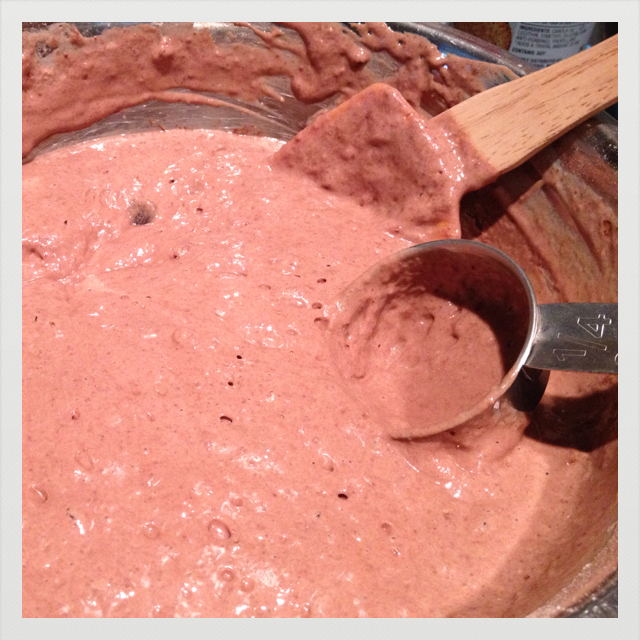 In a medium bowl, whisk together the flour, sugar, cocoa powder, baking powder, salt, and baking soda. 3. In another bowl, beat together the eggs, apple sauce and vanilla, and then add the buttermilk. 4. Add the wet ingredients to the dry and stir in the chocolate chips just until combined. Allow to rest for 5 minutes. 5. Using a 1/4 cup measuring cup, ladle the waffle batter onto the center of the iron. 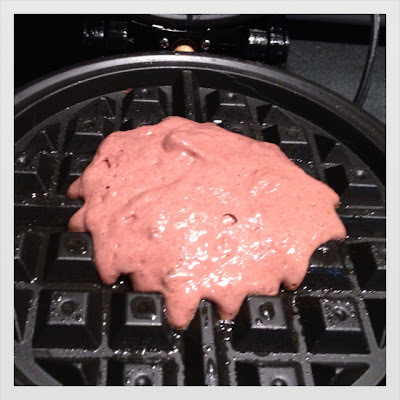 Close the iron top and cook until the waffle is crispy on both sides and is easily removed from iron. Mine we about 3 1/2 minutes. 6. 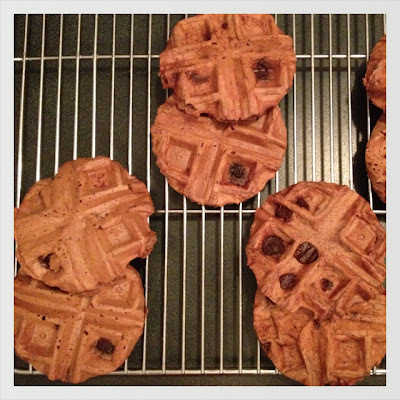 Once waffles have cooled, cut into rounds using a 3 inch cookie cutter. Fill with vanilla ice cream and place in refrigerator for at least 30 minutes, or until ready to be served. Enjoy!